The 2018 Youth Olympic Games will be held in Buenos Aires, Argentina, from the 1st-6th October 2018. Note: that in case of different interpretations, the English version prevails. The 2014 Summer Youth Olympic Games were the 2nd edition and were hosted in Nanjing, China. They were held from August 16 to 28, 2014, making these the second edition of the Summer Youth Olympics . There were 35 sports which venues were located in Nanjing and in the close periphery. 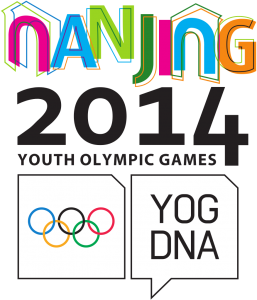 4 years after Singapore which hosted the 1st edition, Nanjing was the 2nd Asian city to host the Youth Olympic Games. It came also 6 years after another Chinese city, Beijing, hosted the XXIX Summer Olympic Games. 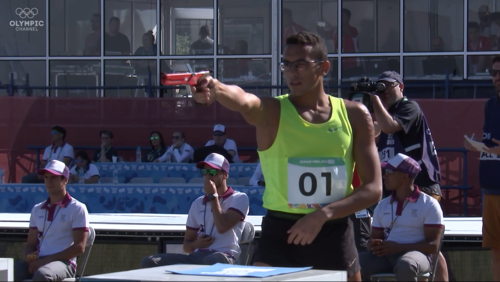 The Modern Pentathlon competition happened from 22 to 26 August 2014 at the Nanjing Olympic Sports Centre in Nanjing. The Men gold medal was won by the athlete from Russia Alexander LIFANOV in front of the Hungarian Gergely REGOS with silver and Lithuanian Dovidas VAIVADA with Bronze. The Women competition was won by China with Xiuting ZHONG ahead of silver medallist Francesca SUMMERS from Great Britain and bronze medallist Anna MATTHES from Germany. The Mixed Relay competition was based on the Individual final classification. It was the association of the 1st Men athlete and the last Women athlete, the 2nd Men athlete and the 23rd Women athlete and so on no matter the nationality. The pair composed by Maria Migueis TEIXEIRA (POR) and Anton KUZNETSOV (UKR) won the gold medal in front of silver medallists Anna ZS. TOTH (HUN) and Ricardo VERA (MEX) and bronze medallists Aurora TOGNETTI (ITA) and Gilung PARK (KOR).